ManageEngine Applications Manager software is a comprehensive website monitoring tool with guaranteed seamless website performance monitor. Website monitoring is the act of tracking the availability and performance of websites to minimize downtime, optimize performance and ensure smooth user experience. Maintaining website uptime is pivotal to any business and website monitoring is a thus a serious challenge for most businesses. Any downtime could directly lead to loss of revenue and customer dissatisfaction which is why a website monitoring tool is absolutely essential to your business. Applications Manager website monitoring service enables businesses to keep up with the health, availability and performance stats of your websites and get notified before it's too late. Experts say that a response time of 3 seconds or lower is an indicator of ideal website performance. Measuring the response times of all the critical transactions on your website and tracking down elements responsible for such delays can help troubleshoot issues much faster before it affects end users. 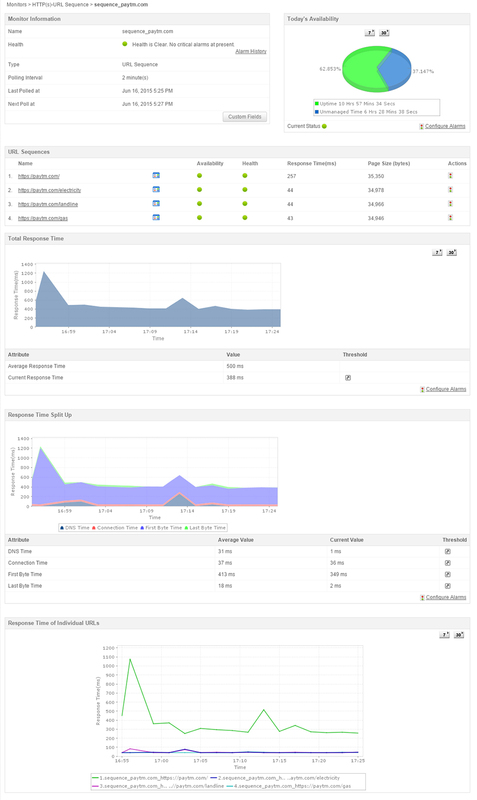 What can you do using Applications Manager's Website Monitoring tool? Monitor health & availability of a single webpage or an entire sequence of webpages. Synthetic transaction monitoring to analyze end user experience with your website(s). Monitor critical page workflows, test application before launch and pinpoint problematic components. Track any unauthorized changes made to the content elements of your site. 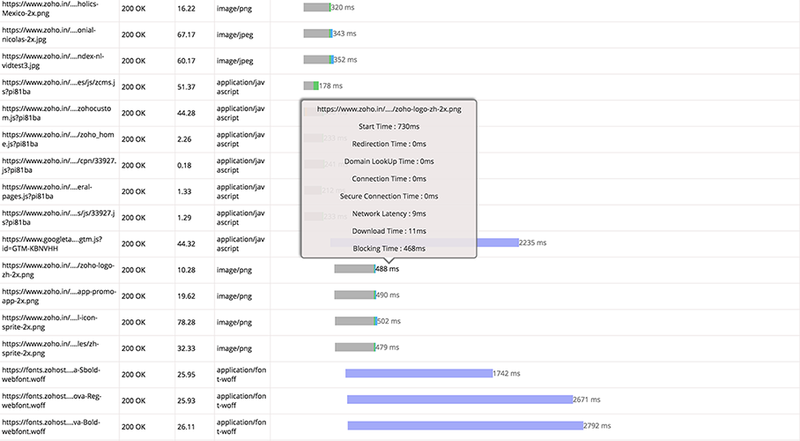 Measure web application performance from any part of the world. Check the accessibility and the availability of your websites and receive notifications when they aren't, so that you may be able to perform remedial actions before it gets too late. Applications Manager Website Monitor allows you to monitor various attributes such as response time, availability, the status of the website and page size. When a website which has multiple pages or sub-pages needs to be monitored, a website monitoring software that can capture the sequence of URLs with all the performance stats can be useful. Applications Manager website monitor records all transactions in sequence for every URL that has been accessed from the parent URL, in the sequence of clicks. While most website monitoring tools offer uptime and health information of single URLs, Applications Manager website performance monitor allows users to track availability statistics of all URLs in the sequence of transactions. Check out and payments pages of online shopping sites are a few examples of critical path flows to monitor with URL sequence monitoring. One of the most important aspects of website monitoring for any business organization is monitoring the content hosted on the website. Defacement is one of the subtle forms of hacking where the content of the website is modified or a potentially malicious content is inserted and without website monitoring tools, it becomes extremely difficult to locate such subtle changes and they often go unnoticed until business starts to get affected and it becomes obvious. With Applications Manager's Website performance Monitoring, identify any unauthorized modifications made to the HTML elements of your page, configure alarms and also restore your original content. Website monitor tools offered by Applications Manager allows you to monitor six basic HTML elements namely Text, Script, Image, Anchor, Iframe and Link. This feature is particularly useful for ensuring validity of data hosted on your websites. In order to guarantee a seamless user experience, it is imperative to understand the end-user interaction with the website and how the website responds to various requests. Real Browser Monitoring facilitates end user experience monitoring which gives you a glimpse of the performance of your website or web application from the end-user's perspective. Like most website monitoring tools, Applications Manager also employs synthetic monitoring technique to measure end-user interaction with your website. Synthetic transaction monitoring allows you to record and replay a set of simulated transactions that a user is likely to have while accessing your web application. Replaying the same transactions on every poll helps analyse if the transactions are occurring seamlessly or if there are any bottlenecks hindering optimal website performance. Metrics such as connection time, network latency, download time of every element of your webpage is tracked to allow IT teams to maintain an overall perspective of the web application performance and detect problematic areas instantly without impacting the service. Real Browser Monitor dashboard provides a comprehensive overview of the status your webscripts and transactions across various geographical locations. Visulize a resource size and resource count split up of all elements comprising your webpage such as html, css, script, image, etc. 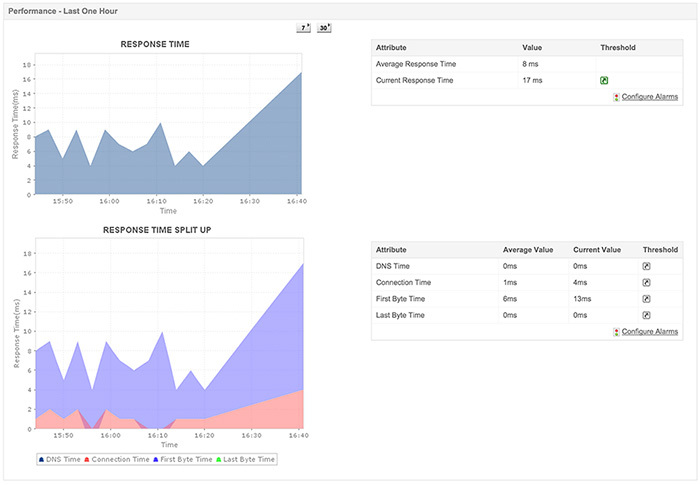 with Applications Manager website performance monitoring tool and identify which components are contributing to the poor performance of your site. A component-wise and time-wise split-up of the transactions and its steps helps you visualize and understand the transactions for better optimization of webpages.The Applications Manager agents measure performance statistics from your managed servers that are deployed in different location and sends it to the central admin console for complete visibility into web application performance from across the globe. With Applications Manager Real Time Website Monitoring you will be able to understand how users navigate through your website, measure and monitor the critical performance metrics, ensure your websites don't undergo unsolicited changes and single out erroneous elements without breaking a sweat. Applications Manager Website monitoring software is the best insurance you can get for your websites. 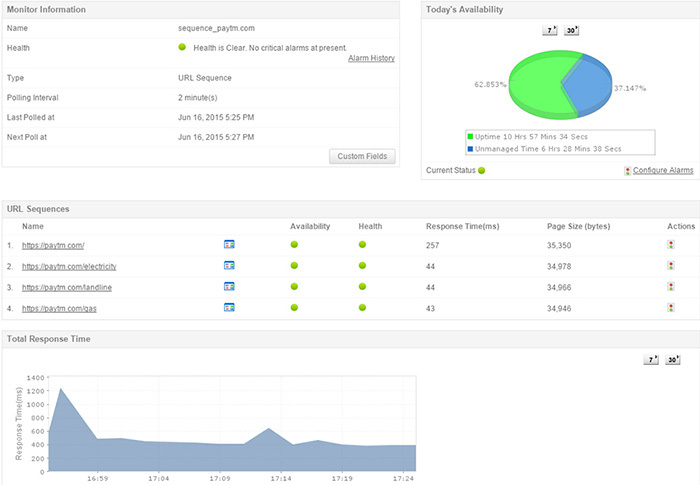 See how Applications Manager can solve your website monitoring challenges!